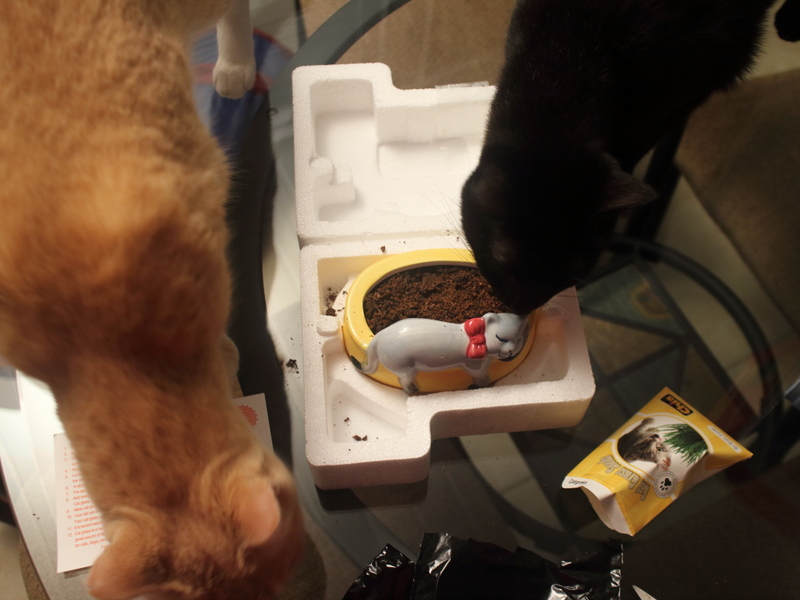 For Christmas, the cats’ Aunt Felice got them a Chia Cat Grass Planter. A great present because they all like grass and Chris loves it. Whenever Chris gets outside, the first thing he does is eat some grass. 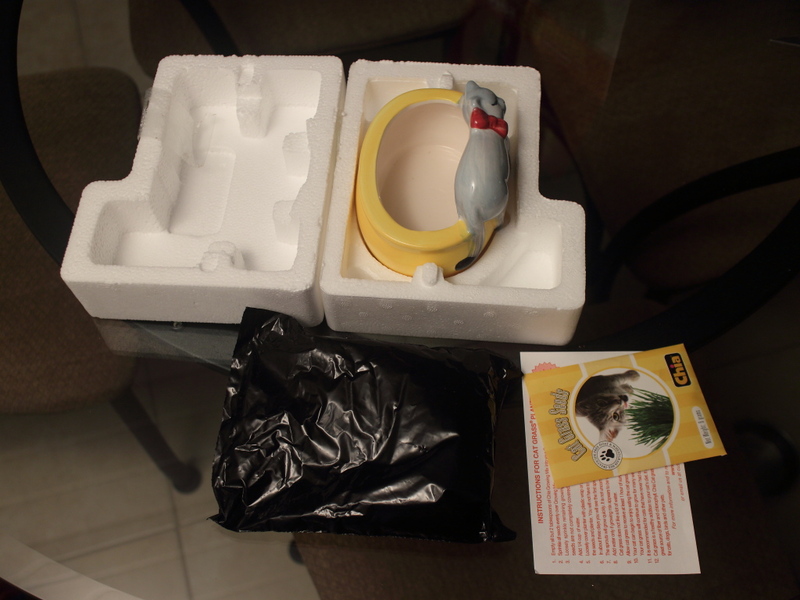 It comes with everything you need: a bowl with a cat on it, potting soil, seeds and instructions. I followed the instructions and put most of the “growing mix” in the bowl, leaving two tablespoons out for later. 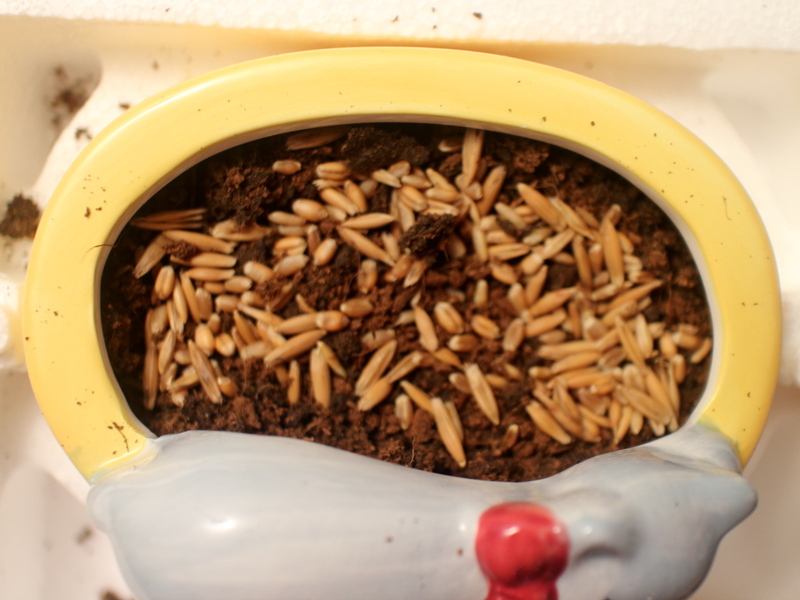 I then added the grass seeds. Next I covered the seeds with the remaining dirt. By then I had the attention of all the cats. The instructions said to cover it loosely with plastic wrap so I did that and put it on the counter for a few days. I then put a little water in it and placed it outside where it could get some sun without someone eating it. I think I watered it once more while it was outside but I pretty much forgot about it until the other day when I brought it inside. I also discovered that I was wrong about someone not eating it. It looks like one of the many rabbits in our neighborhood had a taste. I barely had time to photograph it before Chris discovered it. That sparked Frankie’s interest and soon they were both munching on the grass. 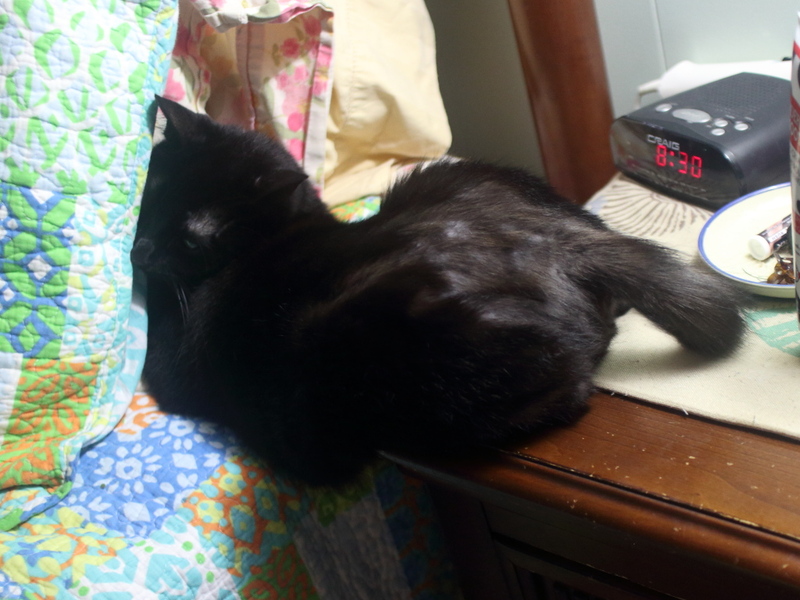 Puck, unfortunately, was napping somewhere and missed everything. It wasn’t very long before they mowed the grass down and moved on. The next day, I brought it back outside to let it grow again. 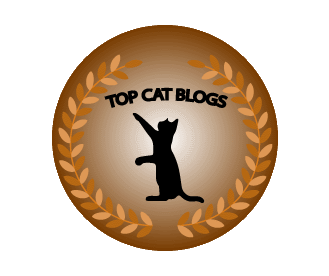 I started this post with the intention of reviewing this product but I think the cats did that for me. I will say that this is a little more expensive than the ones in the cheap plastic containers but I found it as low as $9.76 on Amazon. 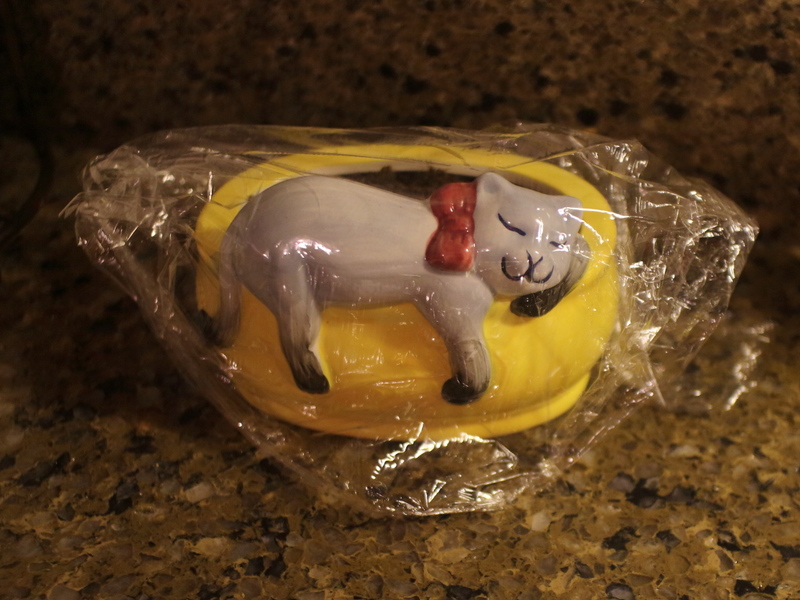 I like it because it is heavier and doesn’t move around too much when the cats try to eat the grass. I may decide to buy one or two more so I can rotate them in and out of the house. What do you think? 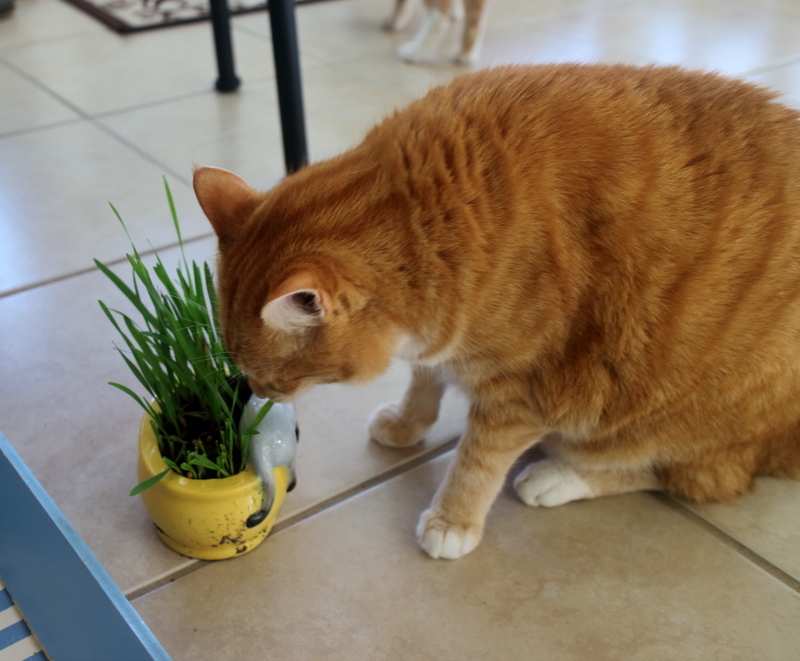 Are your cats grass eaters? 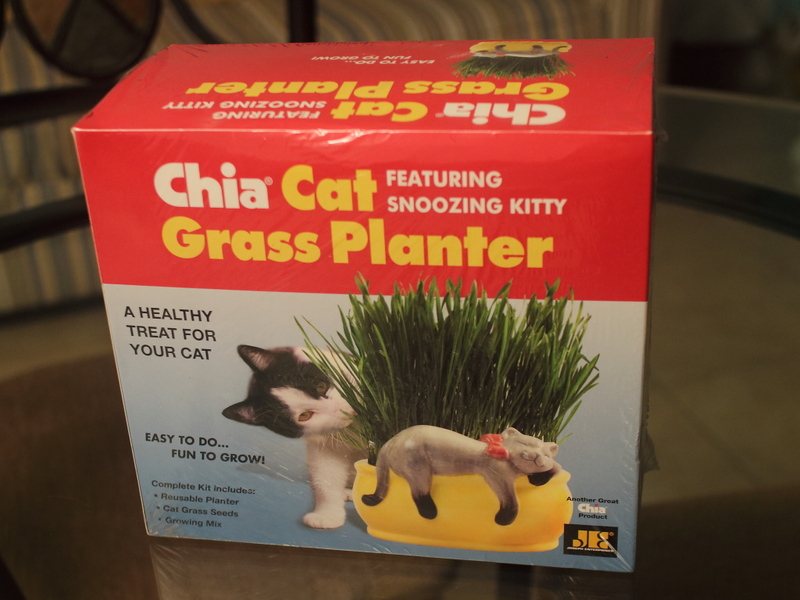 This entry was posted in Uncategorized and tagged cat, Cats, Chia, grass, Pet, planter on January 21, 2016 by Charles Huss. Sammy loves grass but will not (and believe me I’ve tried MANY times over the MANY years!) eat grass that I’ve grown for him from the kits. He loves outside grass only. I’ve wondered if he didn’t have access to the outside stuff if he would eat the inside stuff and we may have to do that one of these days now that he’s older and not as “interested” in outside. Thanks for the review! The planter is adorable. Many years ago we bought a block of sod (or whatever you call it) and put it on the patio for the cats. They liked that but it didn’t last very long before it died. 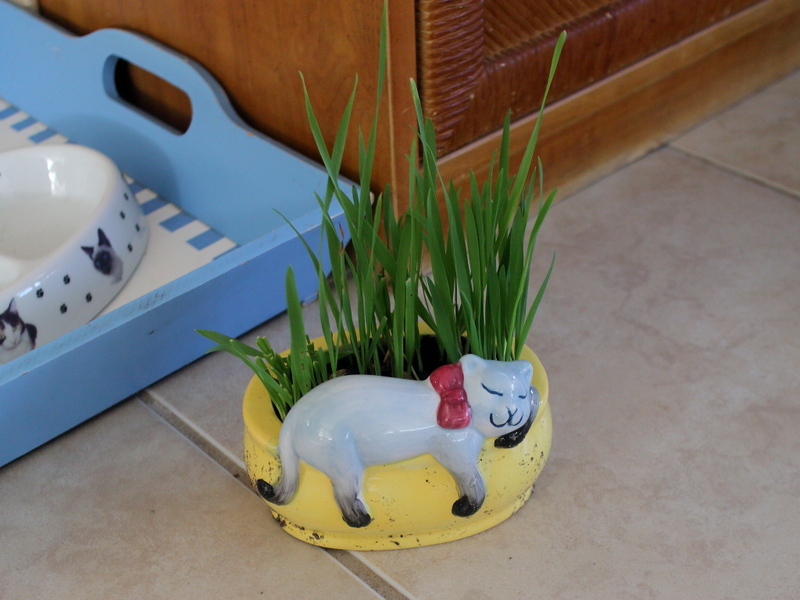 It’s a very cute planter! That alone makes it worth the extra money… at least for you humans. 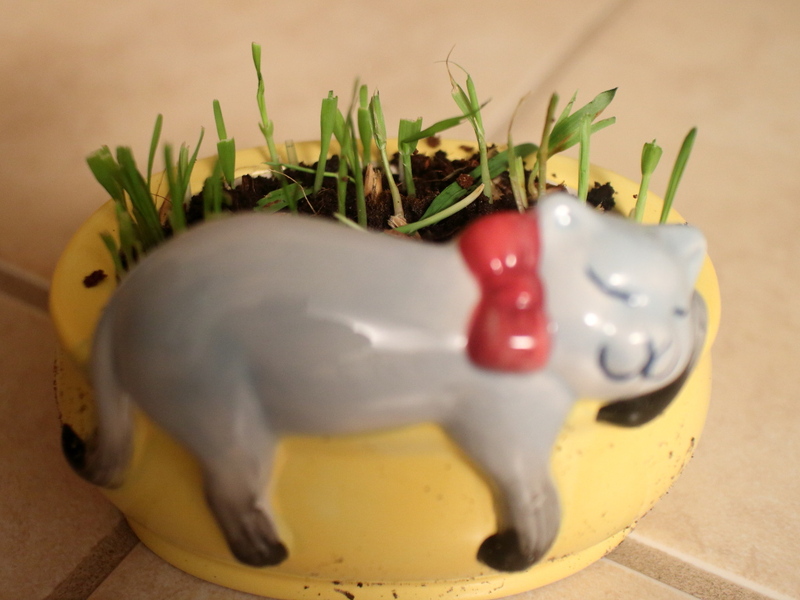 We kitties just care about the grass part. I don’t care how it looks either but I like that it is heavier. I’ve not yet purchased one of these for the cats and now feel like a neglectful mom! 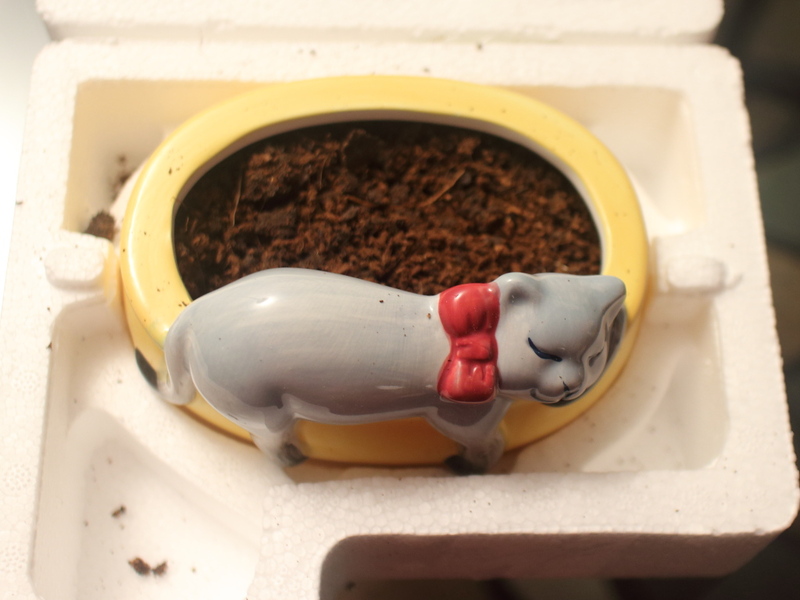 Spence bought me a Chia Herb Garden which I’m having fun with and so now I feel I must do something for Tipper and Biscotti. 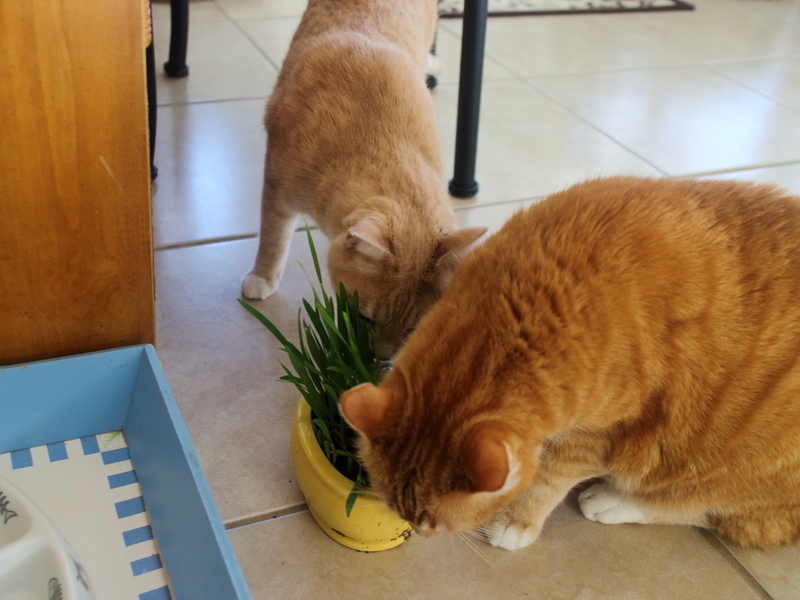 As for eating grass, they were born in my backyard and not sure if they ever nibbled on it but are now strictly indoor kitties. Thank you for showing what a big hit this was for your cats! They can’t digest it but it is supposed to be good for them. Those photos speak for themselves. Phoebe would have done that by herself in one sitting. I have to let her have a few nibbles and hide it. They should make one three feet long. I’ve not seen that before but I like it! 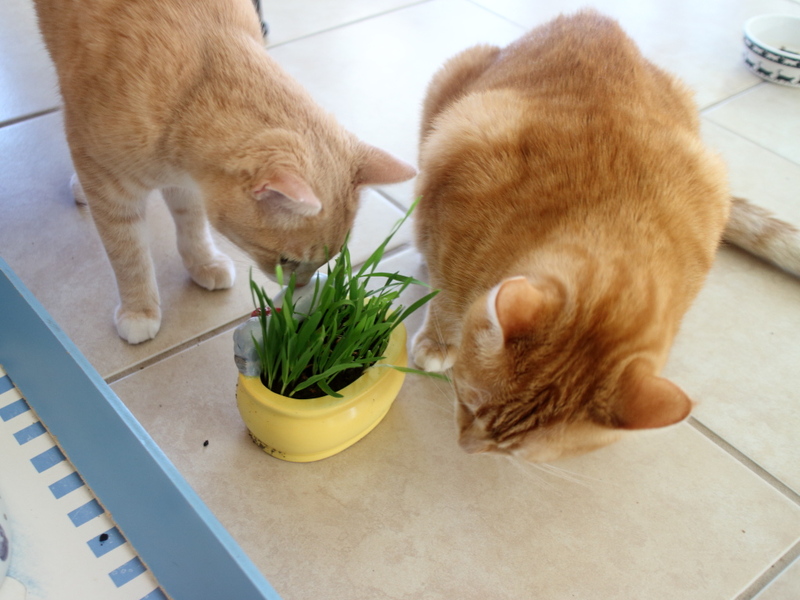 My grass-eaters are both feline and canine, though Rumpy usually only wants grass when he stomach is upset. Chris eats it all the time. I hope that doesn’t mean his stomach is always upset. I don’t think so. Don’t cats naturally eat grass? no matter what we do or try, Savannah and The Kid Sage simply will not eat grass. Every cat is different. I’m sure if they need it they will eat it.